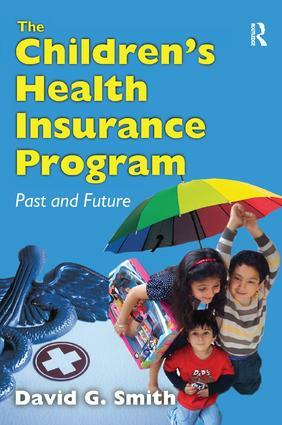 The Children's Health Insurance Program was crafted in a period of intense partisan and ideological controversy over health care entitlements to provide -creditable coverage- for American children below 200 percent of the Federal Poverty Level. This objective was widely supported, though achieved only by a compromise between the structural alternatives of a block grant, similar to the Maternal and Child Health Block Grant or an entitlement resembling Medicaid. According to David G. Smith, the CHIP compromise has been a successful experiment that far exceeded expectations, both in identifying and enrolling -targeted low-income children- and in earning political capital. He argues that beyond this core mission, the reauthorization of CHIPRA (Children's Health Insurance Program Reauthorization Act of 2009) invites a larger mission: going beyond enrollment of children to include assuring access, improving quality, and containing costs of health care for them. Extending this thrust, the author notes that CHIP could be used to establish children's health as a niche--much like care for the elderly--within the larger scheme of health care insurance for all. Several areas of successful performance needed for the program to be adjudged a success as well as its limitations are discussed in the book. These areas include initial implementation, enrolling kids, federal-state relations, and the uses and misuses of waivers to modify the program. A description of changes made by the CHIPRA reauthorization and the new Patient Protection Affordable Care Act (PPACA) is also included. This is followed by a consideration of lessons learned from CHIP's evolution and recommendations for future development. In short, this is a valuable and readable account for those interested in the current and future trends of health care for the young.